Warid, the cellular service provider in Pakistan, has successfully redesigned its website. New user-friendly features which have been added to the website includes Warid PostPaid / Corporate, Warid Prepaid & Warid Glow Portals, members area link, link to E-Care Web Self Service, mnp facility and online contact details for customer feedback. 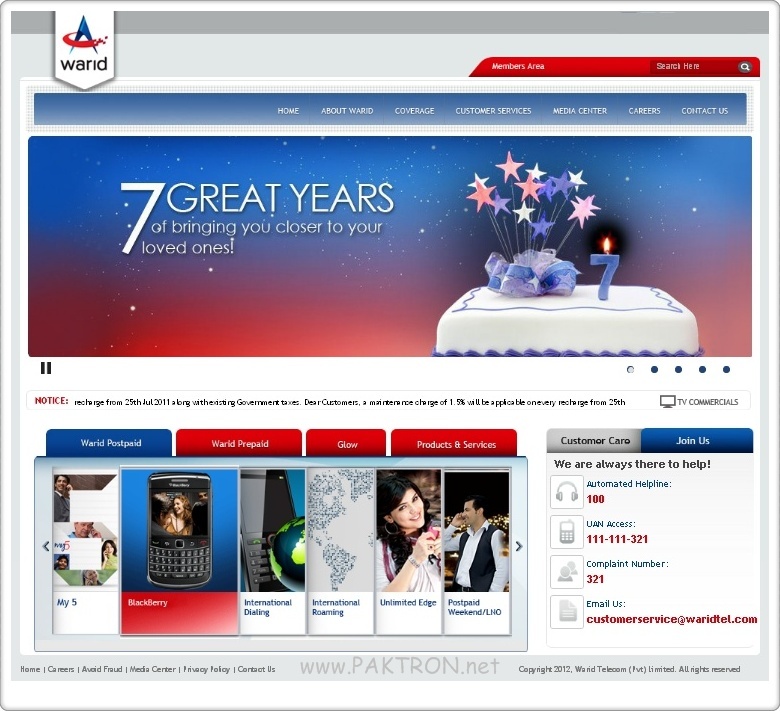 New and Updated website is developed by Warid Pakistan. The new look has nice theme with new colors, site search option, image slide show for latest offers, site menu and site icons. Keep in mind the growing number of its subscribers, this company is continuously striving to facilitate its users through state-of-the-art services. Redesigning its website is one such effort. The updated website now features new theme, improved text, artwork and a brand new landing page. I really like the new website. Its quite a drastic improvement from the older website. I lve the website man! Its got such a fresh feel to it! I loveee the new website!!! !